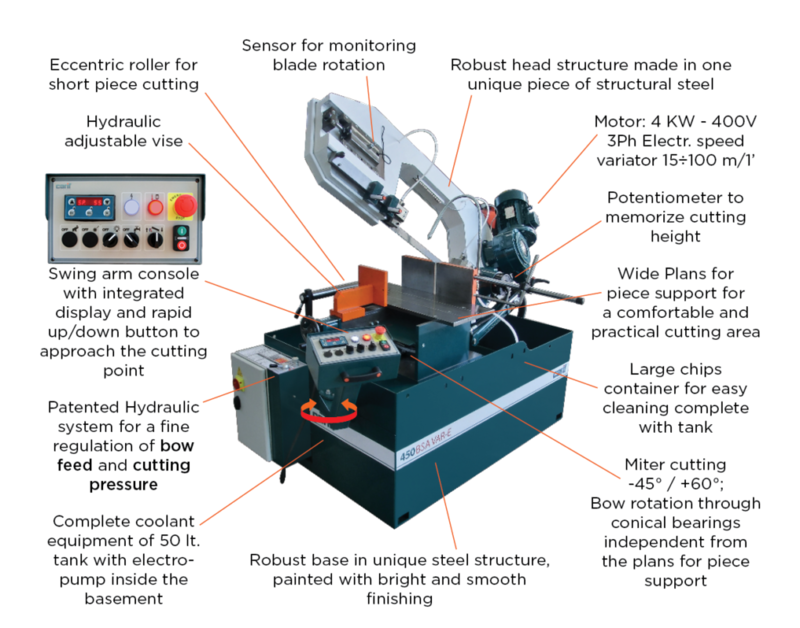 Extremely robust bandsaw with a modern design, equipped with an electronic speed variator 4 KW and ergonomic control board for a rapid set of the cutting point. Robust base structure (5mm) in steel powder painted with bright and smooth finishing. Robust head structure made in one unique piece of structural steel. Patented Hydraulic system for a fine regulation of bow feed and cutting pressure for any kind of material. Electronic speed variator Kw 4; speed range 15÷100 m/1’. 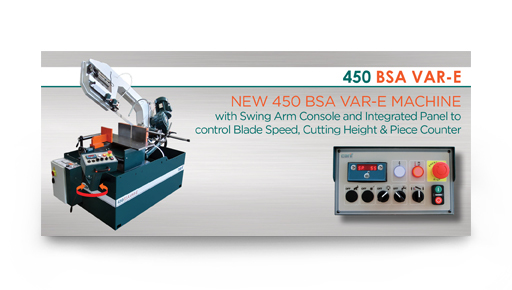 Swing Arm Console with Integrated Panel to control Blade Speed, Cutting Height & Piece Counter. Eccentric roller for short piece cutting. Wide Plans for piece support for a comfortable and practical cutting area. Complete coolant equipment of 50 lt. tank with electro-pump 3ph. inside the basement. Sensor for monitoring blade rotation. 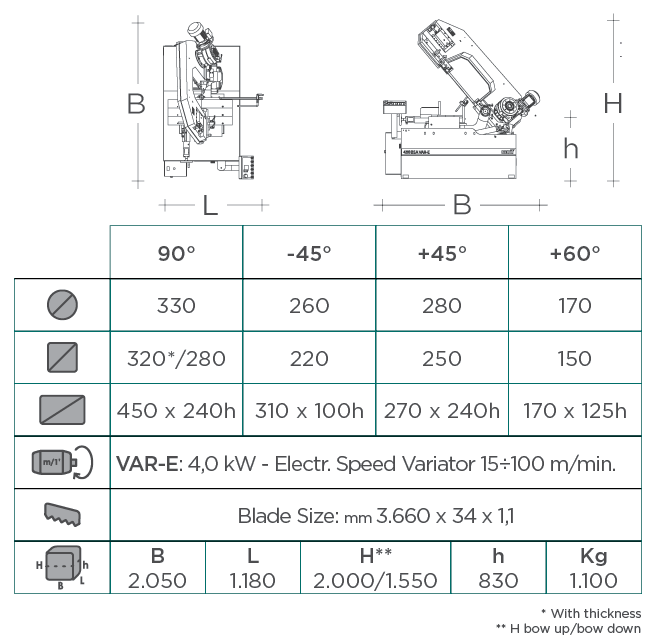 Measuring device L=500 mm with height regulation. Large chips container for easy cleaning. Et pidon en fleksibel, præcis og moderne virksomhed, der på bedst opfylder vores kunders anmodninger. Copyright © Carif s.r.l. All rights reserved.